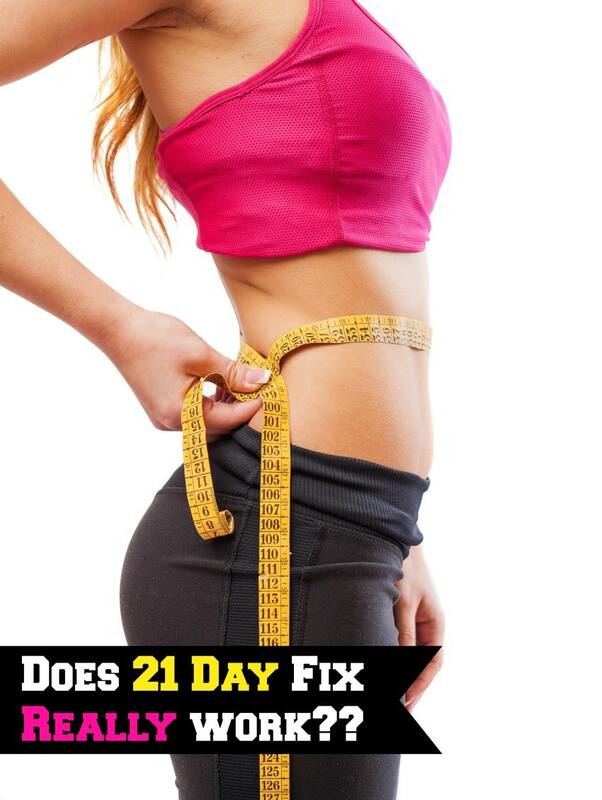 Home » Lifestyle » Does 21 Day Fix really work? 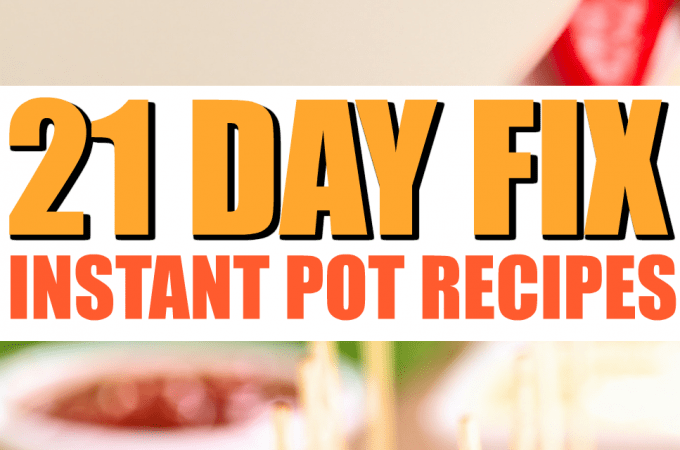 Does 21 Day Fix really work? When you visit the gym these days, it’s full to the brim with people trying to make good on their 2017 resolutions. Past experiences will tell you most of these folks won’t be seeing the inside of the gym come spring- trust me, I am one of them. While just about everyone knows the key to weight loss success is sustaining a healthy diet and moderate exercise plan, motivation to stick to a plan can be a challenge. 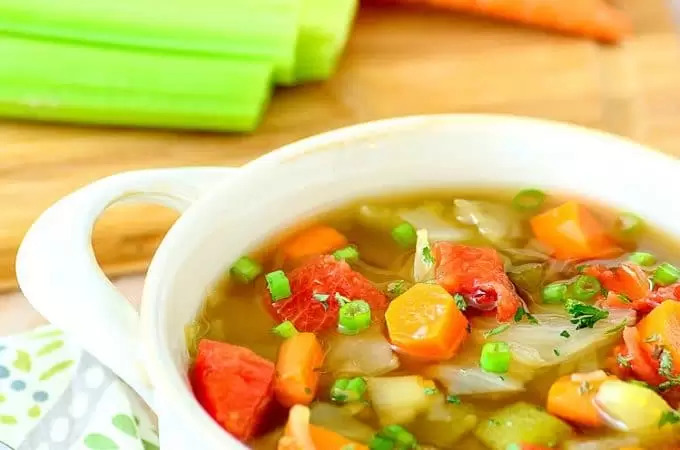 There are so many diets out there from KETO or Whole30 to the cabbage soup diet or even coolsculpting, that it can be hard to figure out what is right for you, which will work for you, and which lifestyle change you can maintain for long term. Currently, everyone’s talking 21 Day Fix so what’s the big deal and Does 21 day fix really work?? In a hurry to get started? 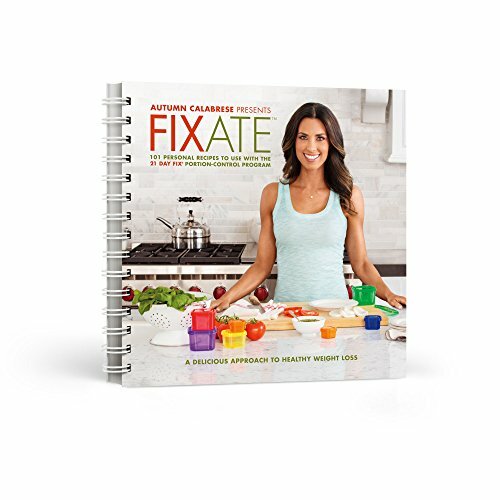 Head here to check out the 21 day Fix Plan now! Offered by Beachbody (Think: P90X, Insanity, etc. ), 21 Day Fix offers a diet and exercise program that will launch your weight loss journey with uncomplicated, fast results. 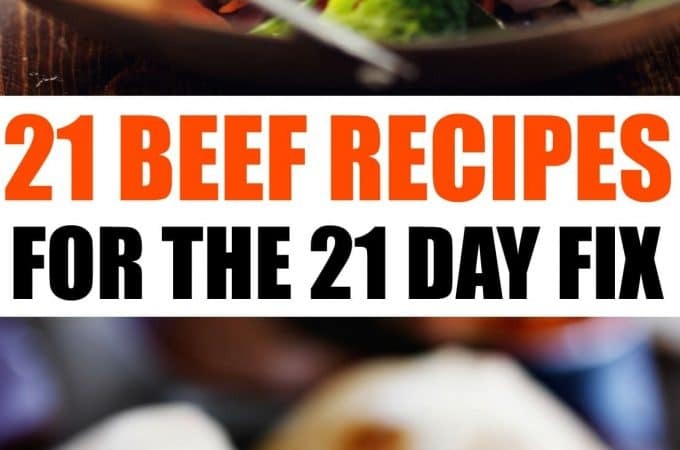 With a clear and easy-to-follow meal system and exercise program that people of all fitness levels can rock, as the name promises, in 21 days you too can move closer to your weight loss goal. The best part of the program is that there is virtually no guess work. You do the exercise program as scheduled, you eat foods based on a straightforward color-coded system. You get smaller. And stronger. In 21 days. Seems unreal, right? Well, not really. 21 days is an average time to change habits, get serious about changes and is often used in fasts and exercise programs. It’s long enough to maintain and get you motivated but short enough to see results. When you purchase the program you get two overall parts: the workout DVDs and the eating plan with accessories. The DVDs include 7 different workouts designed to target specific areas of the body or get your heart pumping and your body working from head to toe. Each video is approximately 30 minutes long. For the first two weeks you do one workout per day – for the last week you do two workouts per day, but not at the same time (morning and evening, etc.). The videos offer a number of variations that allow you to adapt the workouts to your own fitness level. Just starting out? Use their modifications and no weights. Already in pretty good shape? Add heavier weights to your workouts. One of the best parts of the plan is the lack of scheduled “rest” days. You do a workout every day – so much easier to schedule and plan. 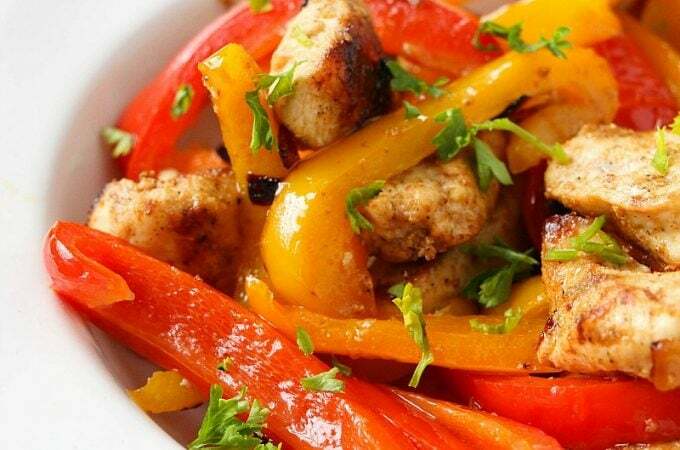 The diet is designed to make eating healthier about as simple as it could possibly be. 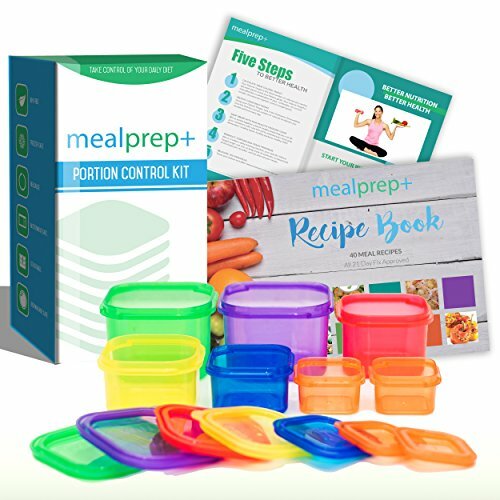 With the videos, you get a diet/portion control kit that includes 7 color-coded containers and a bottle for mixing the Shakeology drinks they recommend mostly for breakfasts. 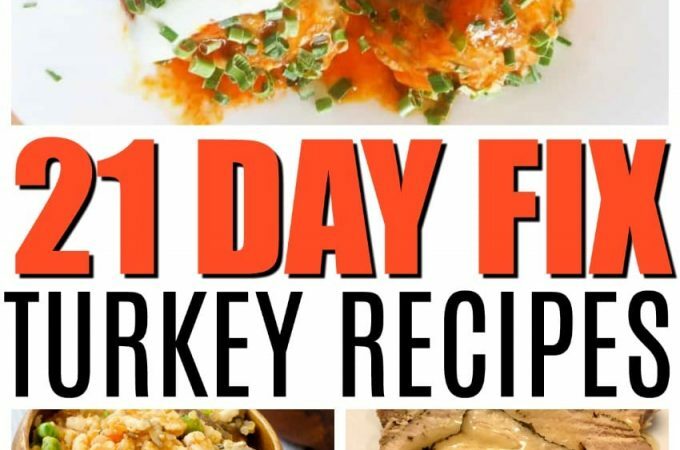 The program provides an easy formula to help you determine how many calories you should be eating each day. 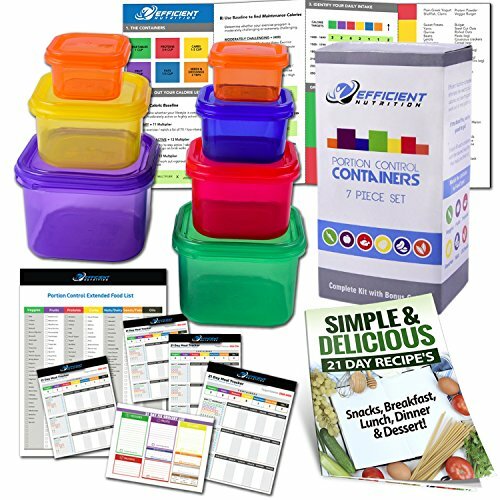 Based on this you are awarded specific numbers of each container color to eat every day. The color-coded meal plan guide provides you some additional guidelines so you aren’t eating all your red containers at lunch, for example. Looking for a full mean plan? 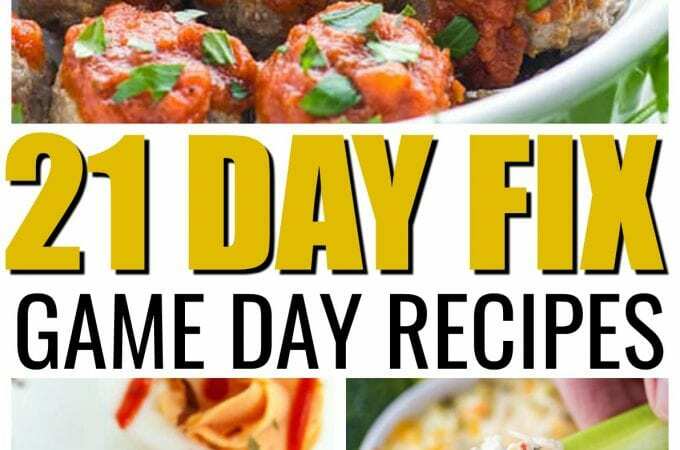 I have a 21 Day Fix Meal plan here for 7 days you can get for free! Coffee and tea are “free” on the program so long as you’re using only spices to flavor your beverage. If you’re adding sweeteners or milk, there are additional guidelines. Three days per week you can swap out your yellow container for a “treat” such as dried fruit or tortilla chips. While the containers might seem a little intimidating at first, there is no measuring. There is no weighing. No referencing calories in a book or on an app. You choose foods from the list, you put them in the containers – so simple! You can also hack your containers by mixing foods from different categories so long as you measure the servings first. 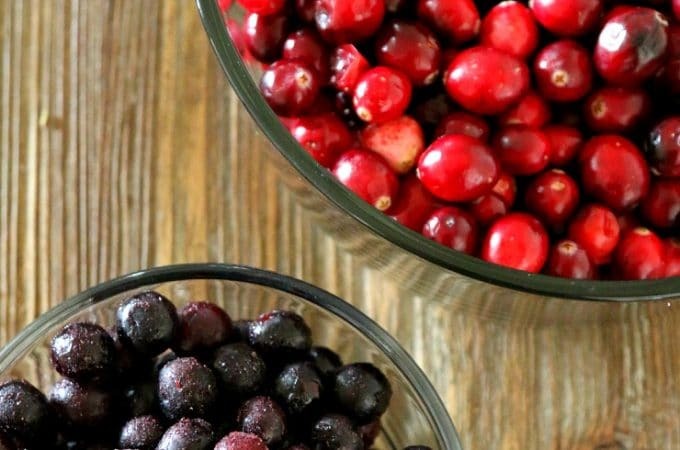 At first, it can be easy to freeze up, thinking you have to only eat food separately in their colored containers. However, to make meal planning a little easier (and family friendly), Autumn has written a cookbook, Fixate, that provides easy meals designed to work with the container system. 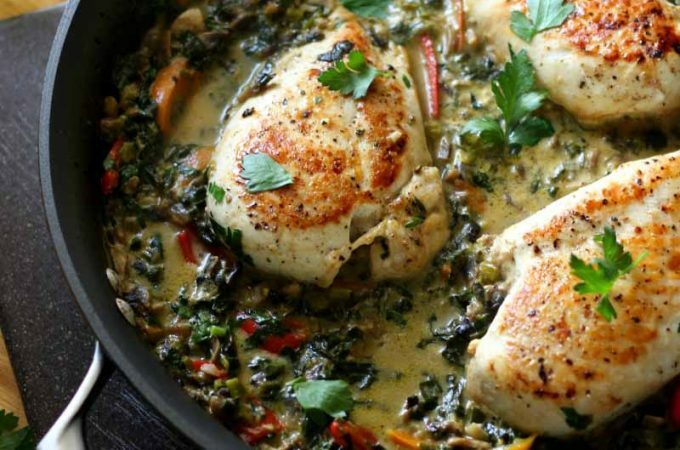 The best part, the foods are delicious and your whole family will benefit from eating them. 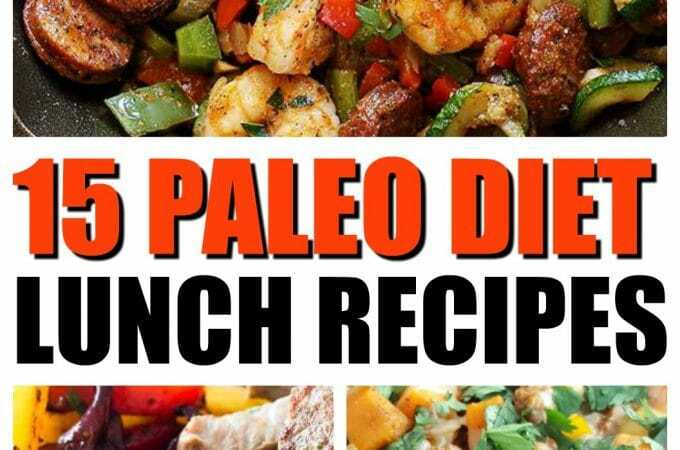 No more weird isolating diet plans you do on your own while the rest of your family seemingly eats the most fabulous foods you “can’t” eat. All weight loss is simply a formula of calories in/calories out. There is no magic wand for pounds “melting” off your body. So long as you eat fewer calories than you burn off, you will lose weight. 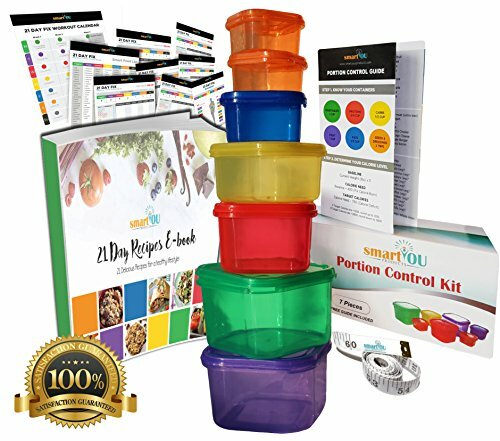 21 Day Fix helps create the structure you need to sustain your diet and exercise program and gives you the tools you need to visualize your portion control and the balance of foods you should be eating to maintain a healthy diet. Although the food plan obviously requires a cut to your calorie levels, there is no guesswork, no complicated dieting labor involved. Fill the container with the foods on the list, eat. Done! Similarly, the exercise plan is designed to help you burn calories and build lean muscle, which boosts your metabolism and tones your body. With greater lean muscle mass, you’ll be able to push yourself harder in workouts and start to see muscle definition emerge. 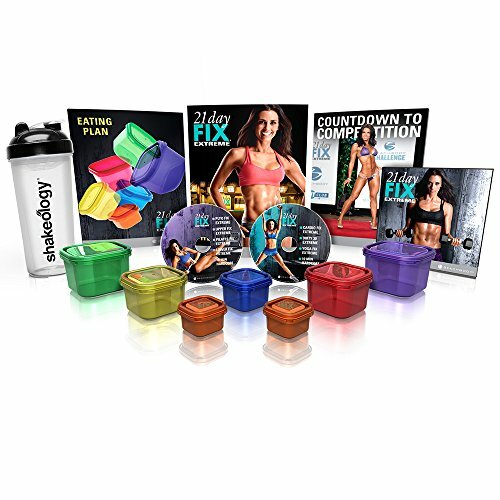 Beachbody is known for its amazing workout programs and the 21 Day Fix plan is no exception – follow the exercise schedule, give it your all, and you will see definite results. Like any diet and exercise plan, you will get out what you put in. However, a quick scroll through the internet will show you, for people of all bodies types and shapes, 21 Day Fix works. Make sure you take the time to read the materials carefully and give yourself time to adjust – depending on your current habits, this could be a dramatic change for you. Preparing meals with the container system does require some creative thinking and advanced preparation. However, with a multitude of resources available from Beachbody, you are never alone! I also recommending downloading one of these FREE journals to help you keep track.